Winshuttle products empower business data owners to make mass changes without involvement from IT, which helps companies save significant time and money in the process. Business agility relies on the ability to easily make changes to master data. These mass changes often require manual steps that apply to one record at a time, which adds time to the process and increases the cost. Data owners sometimes use SAP tools such as MASS (MM17), but these tools do not always completely solve the problems. Other times, the data owners may ask IT to implement the changes, but IT teams are often overburdened and unable to address these changes via Legacy System Migration Workbench (LSMW) or Advanced Business Application Programming (ABAP). Winshuttle offers a powerful, yet non-technical way to make mass changes to material master data through a simple process. Winshuttle Query enables users to download into Excel the SAP data that they need to change. Then, after they make the changes in Excel, they can use Winshuttle Transaction to upload the new values back into SAP. 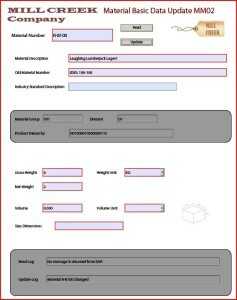 The material master data is written to SAP using Remote Function Calls (RFCs) and Business Application Programming Interface (BAPIs) and all custom fields and the validation rules are completely preserved. Who can create these materials in SAP? Are the security profiles in SAP respected? The standard SAP security profiles are respected. 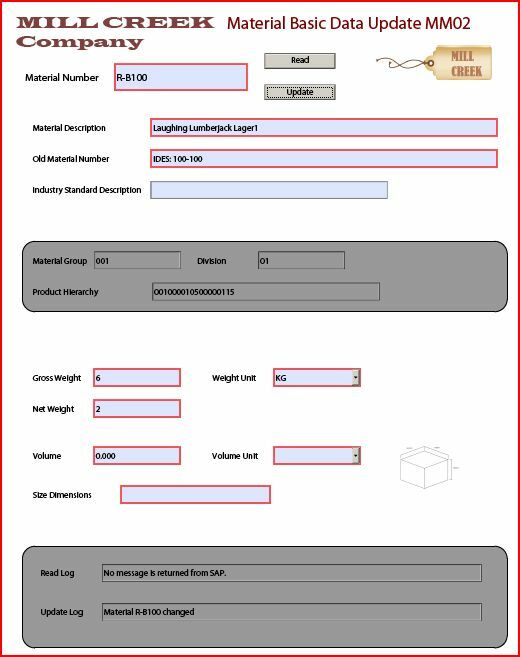 If a user does not have access in SAP to change the materials, they cannot make the changes in Winshuttle either. What happens when there are errors in the input data? The records with errors are not uploaded, and error messages from SAP are shown in the Excel file. Users can fix the errors in Excel and then execute a Transaction script to upload only those records that were fixed. Can I add a workflow to process? Winshuttle Central enables users to add workflow to make sure that changes are reviewed and approved before they are uploaded to SAP.